My Chinese grandma always made delicate, silky, steamed egg custard in a large ramen bowl that she would swirl a spoonful of oyster sauce over before serving. We’d scoop a jiggly portion onto our rice to eat alongside our meal. The Japanese have their own version called chawanmushi, which is served in individual lidded cups at the conclusion of a meal. Traditionally, each cup of custard contains a piece of shrimp, chicken, ginko nut, and vegetable such as mushroom or snow pea. 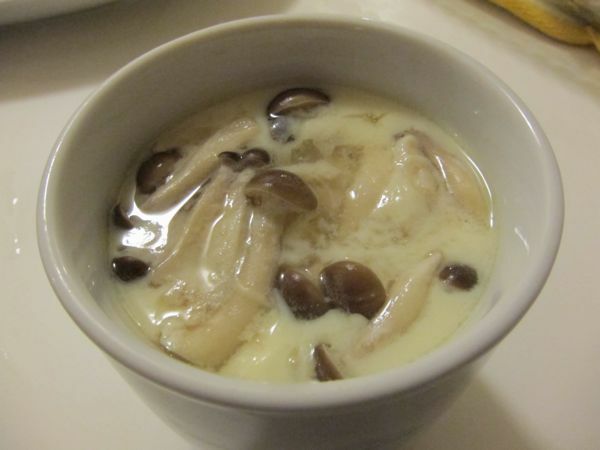 Recently, J and I decided to try our hand at a mushroom chawanmushi as part of our Shabu Sunday ritual. Since we were boiling a large pot of water for our shabu shabu, we steamed the chawanmushi in the same pot beforehand. Unlike the Chinese-style steamed custard, chawanmushi uses dashi stock and sake instead of chicken broth, plus a little soy sauce and sugar. The secret to making any great custard is proper cooking. For steamed eggs, you want to put your heatproof dish in at a high boil, then a couple minutes later, turn it down to low—or completely turn it off, as my grandma does—and let it slowly cook for the majority of the cooking time. Traditionalists will also tell you to gently whisk the eggs with a pair of chopsticks in a figure-8 pattern for an hour, so no bubbles form, but I tend to believe a quick pour through a fine mesh sieve and a skim with a spoon does just as well. When you add mushrooms as we did, you can hardly tell where any bubbles form on the surface. Our first time around, our chawanmushi came our flawlessly. Silky, delicate heavenly spoonfuls of custard and perfectly plump mushrooms. Like sunshine in a cup! Lightly beat eggs in a large bowl. Try not to bubble the eggs. Mix cool dashi soup stock, soy sauce, salt, sake, and sugar in another bowl. Add the dashi mixture in the egg mixture gradually. Strain the egg mixture. 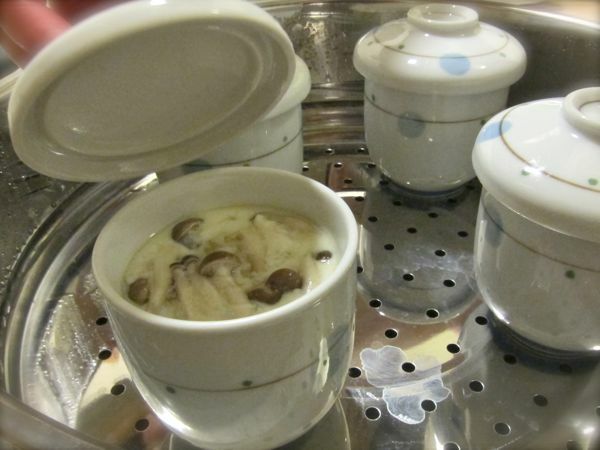 Put mushrooms in four chawanmushi cups. Fill each cup to 3/4 full with the egg mixture. Cover the cups. Preheat a steamer on high heat. Carefully place cups in the steamer and steam on high heat for three minutes. Turn down the heat to low and steam for about 10-15 minutes or until custard is set. Serves 4. I love eating garnishes. Growing up, we often ate dinner at Zippy’s—a popular diner chain in Hawaii. Typically, I’d order the “Broasted Chicken” kid’s plate (don’t ask my why they call it ‘Broasted,’ it’s just fried) and my grandparents would order spaghetti or a mushroom burger upgraded to the “complete meal,” which included a drink and Jello or pudding. As an adult dining at high-end sushi joints, I adore sashimi of mild, white fish nestled on a delicate shiso leaf. Unlike the plastic grass comb in a cheap bento box, shiso leaves are a prized garnish – thin like tissue, but intense in flavor. This bright green leaf with a jagged edge is sold for upwards of $0.50 per leaf at specialty grocery stores like Berkeley Bowl. The Japanese use it namely to garnish sashimi and sushi, though also pickled with ume. Shiso’s tomato-meets-mint flavor is uniquely pungent, and somewhat of an acquired taste. Recently, I went to see Momofuku’s David Chang at the launch party of his new food magazine published by the McSweeney’s gang. Lucky Peach is a wonderful ode to literarily inclined rebel chefs turned author/tv personalities. In a transcribed conversation between Chang, Anthony Bourdain, and Wiley Du Fray, the three ridicule the non-talent of simplistic, local-ingredient focused menus—an assertation they can back up with their own cuisine successes. For example, Momofuku’s Tofu, Tomato, and Shiso Salad—an Asian twist on Capri’s famed tomato, mozzarella and Basil combination. Brilliant! I don’t need much of a reason to go buy shiso in the first place, so this recipe was the perfect excuse. 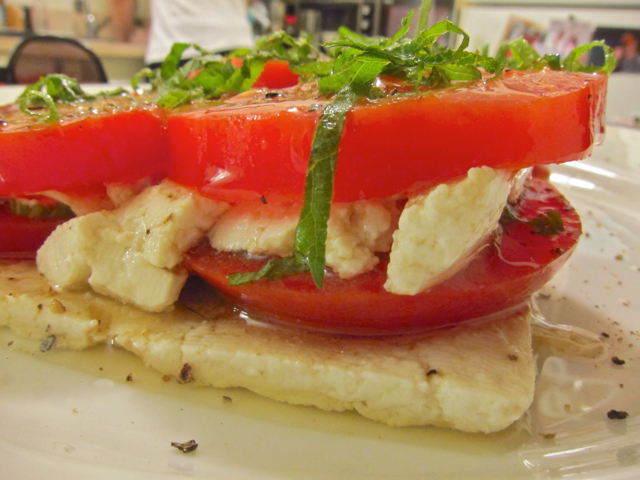 Instead of cherry tomatoes, I used sweet heirlooms and the very best locally-made medium-firm tofu. The result? An airy salad, sweet, salty and acidic with the soy vinaigrette. Perfect for a summer meal. With your knife blade parallel to the cutting board, cut the block of tofu in half. Using a 2- to 2 1/2-inch ring mold (or a narrow straight-sided glass), cut cylinders of tofu out of each slab. Carefully turn each cylinder on its side and slice in half, yielding 8 rounds of tofu. Save the tofu scraps for another use. Bring a large saucepan of salted water into a boil. Prepare an ice batch in a large mixing bowl. Cut a tiny X or slash into the bottom of about two-thirds of the tomatoes. Drop them, in batches, into the boiling water, and after 10 seconds, remove them with a slotted spoon and transfer them to the ice bath to cool. 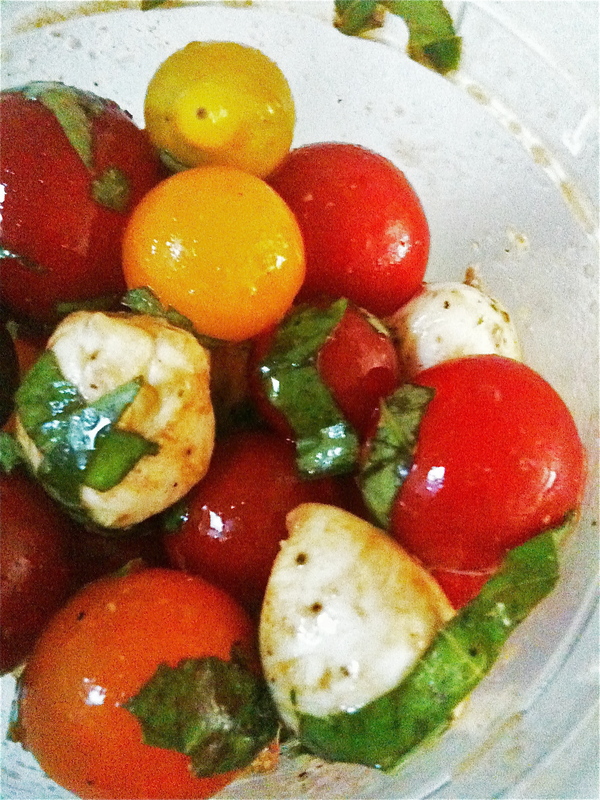 Slip the skin off the blanched tomatoes, put them in a bowl, and refrigerate for 10 minutes. Meanwhile, cut the remaining cherry tomatoes in half. Stir together the vinegar, soy sauce and sesame and grapeseed oils in a large mixing bowl. Add all the tomatoes and toss to coat. To serve, place 2 slices of tofu in each of four shallow serving bowls, and sprinkle with a pinch of salt. Top each portion with about a cup of dressed tomatoes, season with a pinch of salt and a few turns of freshly ground black pepper, and garnish, generously with the shiso chiffonade. I went the stacked route (see pic). Serves 4. 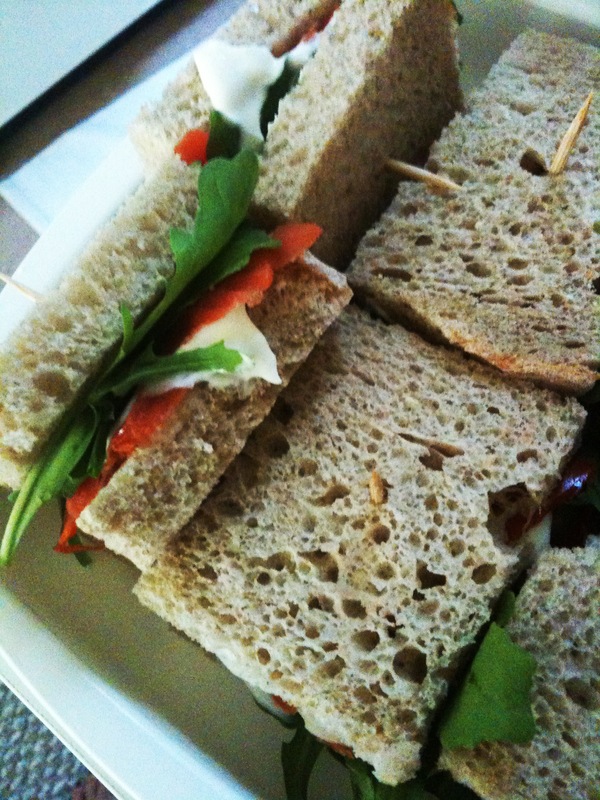 Whenever I start a new job, my biggest concern is food. Feeding times. Snacks. Packing lunches. How my hours will affect weeknight dinner plans. What can I say, I’m a primate and I gotta EAT! As an adieu to the fancy weeknight cooking I’ve become accustomed to working from home for the past year, I whipped up one fabulous weeknight “last supper” — Chinese-style steamed halibut, sauteed pea shoots, sukjunamul, and a Korean-style noodle dish called japchae. This kind of Chinese-Korean hodgepodge meal is my favorite, probably because I am a hodgepodge of these ethnicities myself. Add a couple sides of kimchi or sashimi, and you’ll find me clapping with excitement. 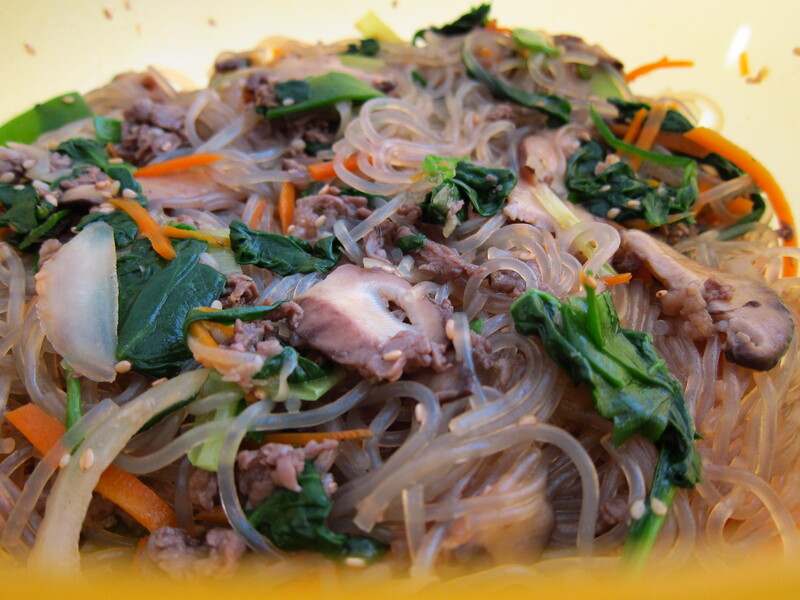 I had never attempted japchae before, but it seemed pretty straightforward — sweet potato noodles, veggies, and some beef. I happened to have a scattering of leftover veggies and beef from Shabu Sunday (a new tradition), so this recipe also helped clean out the fridge! Cook the sweet potato noodles in a large pot of boiling water for 4 to 5 minutes. Immediately drain and rinse thoroughly under cold water. Be sure not to overcook the noodles, or they will lose their chewy texture. If you like, cut the noodles with scissors into 6- to 7-inch lengths for easier eating. Blanch the spinach in boiling water. Rinse immediately under cold water, squeeze the water from the leaves and form into a ball, and then cut the ball in half. Combine the spinach, half the garlic, 1/2 teaspoon of the sesame oil, and 1/4 teaspoon salt in a small bowl. Set aside to let the flavors soak in. Heat the vegetable oil in a large skillet over medium-high heat. Add the beef, the remaining garlic, 1 teaspoon of the soy sauce, and 1 teaspoon of the sesame oil. Stir-fry until the beef is cooked, 3 to 4 minutes. Add the onion, mushrooms, and carrot and cook until the onion is translucent, about 3 minutes. Add the green onions and stir-fry for another minute. Remove from the heat. In a large bowl, thoroughly combine the noodles, beef mixture, spinach, remaining 1/4 cup soy sauce, 1 tablespoon sesame oil, and the sugar. Serve warm, sprinkled with sesame seeds. Serves 4 to 5 as a side dish. Adapted from Quick and Easy Korean Cooking. 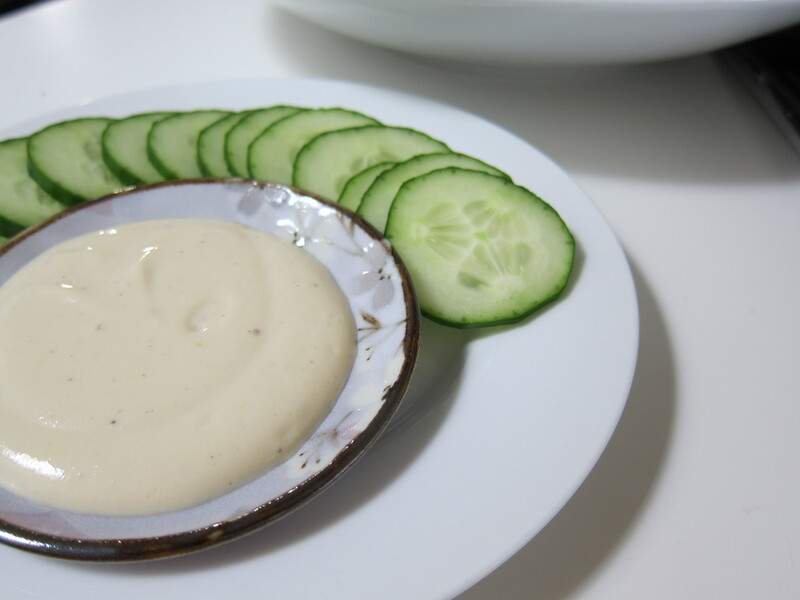 Lowfat creamy dressings rarely taste delicious, especially when they’re made with corn syrup and wacky gums. When blended, soft or silken tofu makes for an excellent non-dairy, lowfat ingredient that adds creaminess to any dressing or even a fruit smoothie. The only problem is most packaged tofu you find in the grocery store tastes like bland sponge. 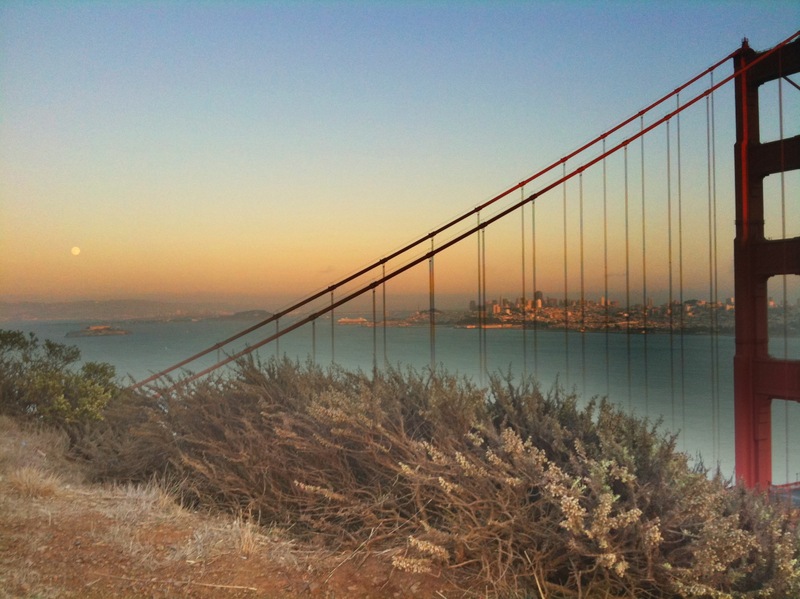 If you’re lucky enough to live in the SF Bay Area, however, you can get your hands on the quality stuff — specifically, Hodo Soy Beanery’s Nama Yuba, a creamy, burrata-like soy cheese made from the fat and proteins that rise to the top of heated soy bean milk. I was browsing through the Whole Foods iPhone app recently, and noticed a recipe for lowfat Caesar dressing made with tofu. After giving it a whirl, I have to say it does NOT taste like Caesar — more like a tangy garlic dressing, which was still yummy. With the addition of a couple anchovies, I think this could be a dressing Julius would be proud of. Put all ingredients into a blender and purée until smooth. Makes about 1 cup. My goodness it’s hot out! According to the needle of my 1970’s thermostat, it reached a tropical 80-degrees in my western-facing apartment today. As I sit here in my little greenhouse, sweating more than is appropriate in March, all I can think of is vegetables. Cool, crisp, watery plants. I want to shove as many as possible into my mouth, pronto. This must be how it feels to be a brontosaurus — giant and slowed by climate assault, and all you want to do is eat trees. My refreshing vegetable of choice is the mung bean sprout. Mung beans are recognized in Asian culture as a “cool” food, which is easy to digest and has a cooling effect on the body. In Korean cooking, mung bean sprouts are blanched, seasoned, and served in an appetizer set of small dishes (including kimchi) called banchan. I love Korean food because it’s so simple to prepare. It seems Koreans are only aware of five spices: garlic, sesame oil, soy sauce, salt, and red pepper paste. Once you have these basics in your cupboard, you can make almost any Korean dish, including this refreshing vegetable side. 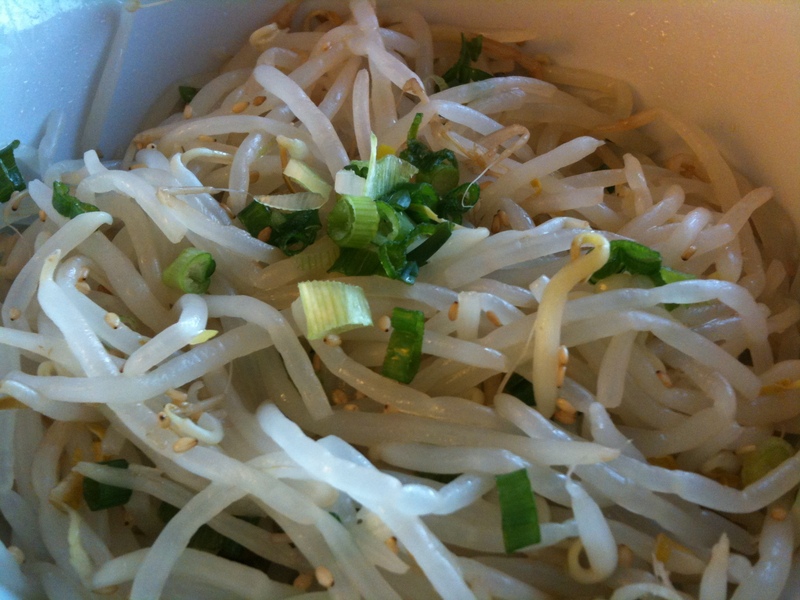 Add bean sprouts to boiling water and simmer for five minutes. Drain well. Stir in the salt, sesame seeds, sesame oil, garlic, and green onions. Saute in a saucepan for a minute. Serve room temperature or cold. Contrary to popular belief, sushi in San Francisco is complete crap with the exception of two microscopic sushi joints in Japantown. Both seat only a dozen guests and require reservations, which are tricky to get when neither answer the phone — and when they do, they hardly speak English. Kiss Seafood is my undisputed favorite for impeccably fresh fish, on-par with what I’m used to back home in Hawaii. Ino Sushi has a slightly lower quality of fish, but amazing traditional tsukemono dishes (fresh pickles). Happily, I will slurp up the entire bowl of cold, crunchy cucumber slices soaked in a savory vinegar brine. I treasure the delicate paper thin slices of baby cucumbers no wider than a nickel in diameter. At home, I attempted my own bastardized version of traditional tsukemono using a seeded English cucumber, dried wakame, and instant dashi. J and I were pleasantly surprised by the spot-on result and ate all of the pickles in just one sitting! Combine liquid ingredients in non-reactive bowl. 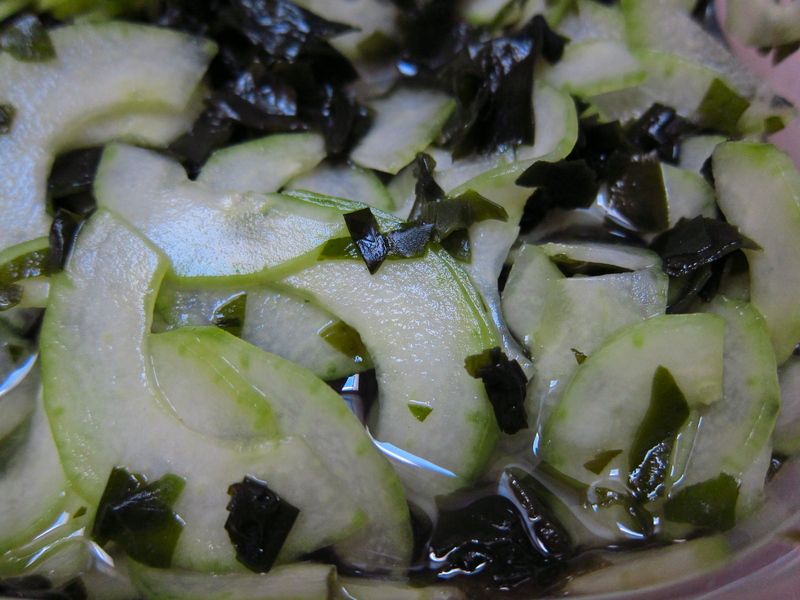 Add cucumbers and drained wakame. Marinade in the fridge for at least 1 hour. Serve as a side dish topped with bonito flakes as a garnish. Since these are fresh pickles, they must be served day-of or at the latest the next day, or they will get mushy. Yesterday marked the official start of Autumn and unlike the previous 19 years, a full moon coincided on the exact date — what is referred to as a harvest moon. The moon rises due east, while the sun sets due west, creating an bright sky lit by both the setting sun and reflective orange moon. 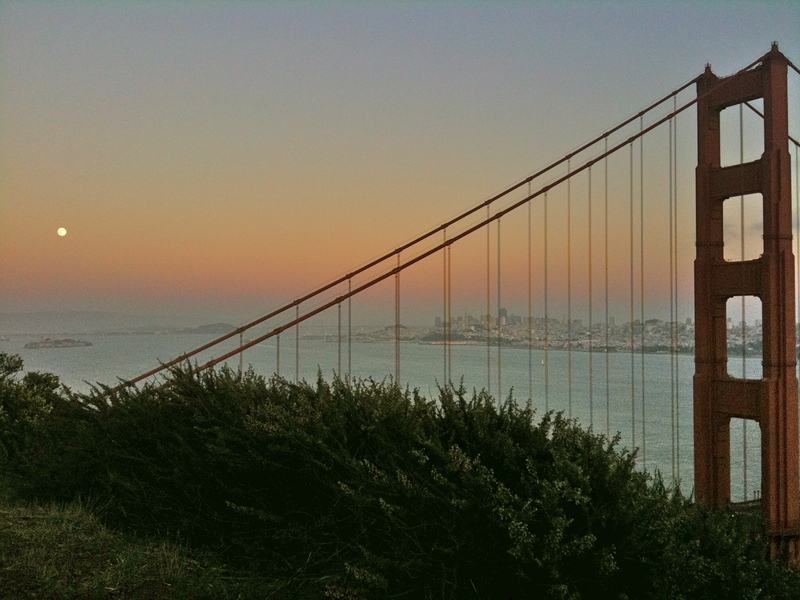 Perched atop the Marin Headlands, we spread out a blanket, popped the bubbly and waited for the celestial show to begin. Inspired by the earthly occasion, I assembled a few harvest-themed snacks. Fig season is in full swing, and I procured a large crate of plump juicy gems. 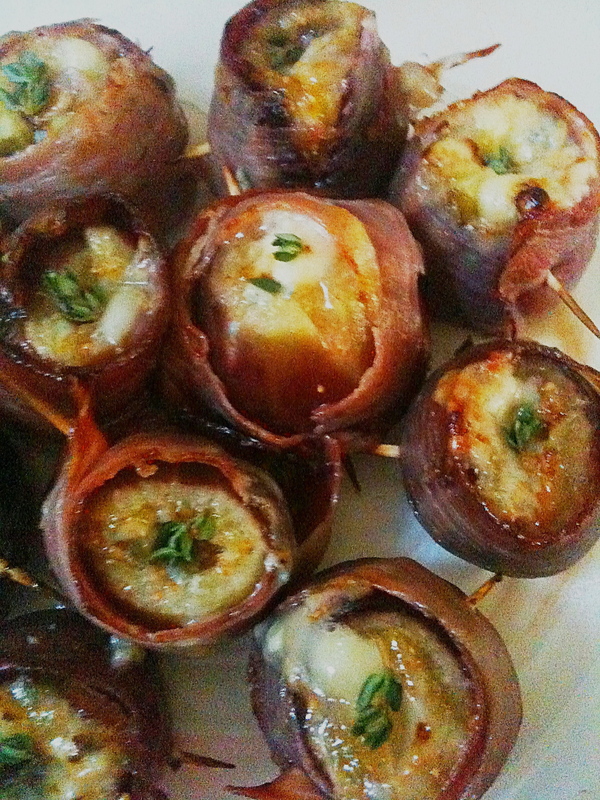 While working at Parties That Cook, I learned to oven-roast figs stuffed with tangy gorgonzola and swathed in smoky prosciutto. It’s a recipe that never fails to impress — be it a harvest moon picnic or cocktail party. Preheat oven to prepare for broiling. Cut off the stem of each fig. To make a pocket for the cheese, slice down through the stem of each fig about a half an inch then rotate it and slice down again, creating an X as you view it from the top. Cut each piece of prosciutto in half length-wise. Wrap each fig in prosciutto around the circumference of the fig leaving the stem end of the fig exposed. Brush the fig wrapped in prosciutto with butter. Stuff each pocket in the fig (where you made the slice previously) with Gorgonzola. Broil the figs for about 5-10 minutes, until the Gorgonzola is melted and the figs are plump. Garnish each “fig in a blanket” with the tip of a sprig of thyme. Serve immediately while still warm.